Tim Schafer, Notch And John Romero Drew Some Dragons — Because Why The Hell Not? You go to PAX Prime, you want autographs from all the top developers attending. But then it occurs to you - autographs are a little bit rubbish. Why not, instead of just asking for signatures, get them to draw a dragon instead. Yes - this is true genius at work. When Michael ‘Ventron' Ventnor went to PAX Prime, this is precisely what he did. 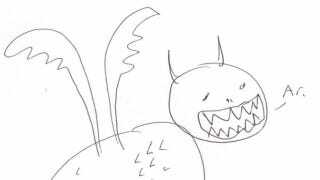 He went up to world famous game developers, and humbly asked if they could draw a dragon. "So my first thought was to ask them to draw me a sketch. Great! However, I anticipated another problem. Imagine if someone simply asked you to "draw something". That's it. What would your reply be? Creativity is triggered by limits. It's that old "tell a joke" problem. This would be much more successful if I gave them a theme or a topic. "Well, why not dragons? They're well-known, open to interpretation, and they're just plain awesome. At the end, I'll have a collection of dragon sketches I can compare." Check out the story behind all these dragons here!